Debate rages in Constitution Committee over bill to give preference to army vets and reservists for civil service jobs. 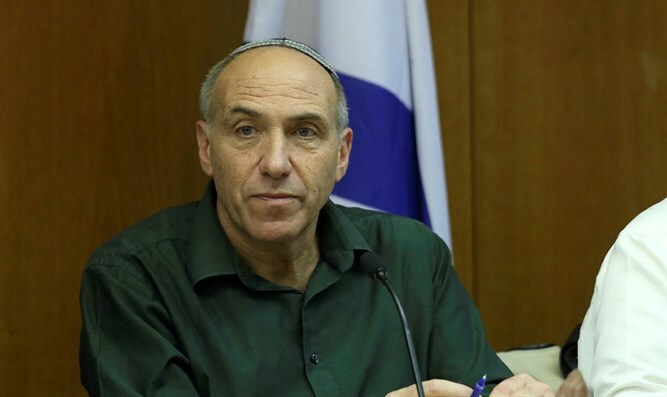 The Knesset's Constitution, Law and Justice Committee on Tuesday discussed the bill proposed by MK Moti Yogev (Jewish Home) to give priority in civil service tenders to army veterans and reservists. According to the bill, which will be discussed today for first reading, among groups that receive affirmative action in civil service tenders, preference will be given to army veterans and reservists. In the course of the discussion, a heated debate broke out between Arab and haredi MKs, who oppose the law, and those supporting the law, including MK Yogev, MK Anat Berko (Likud) and MK Oded Forer (Yisrael Beytenu). After Joint List MK Ahmad Tibi shouted, Yogev called him "a terrorist, supporter of murderers. Go to the Palestinian parliament, where you belong." "Today, when the Knesset marks reserve duty day, it is an excellent time to move forward with the law I have submitted, to give affirmative action to those who served in the army or reserve duty along with those groups who receive affirmative action in the civil service. Service in the army or national service is an expression of loyalty and devotion to the state, and the state must treat them as they deserve,” Yogev explained about his bill. "It is inconceivable that while one gives his best years [to military service], his friends are already entering the world of academia and work, and essentially take up all the available jobs. We want to rectify the injustice, to bring equality and to give preference in civil service tenders to those who serve the State of Israel, devote their best years and risk their lives for the State of Israel. " Yogev stressed, "This law will bring justice. This is a law that should have passed a long time ago, and we will continue to push for its advancement," he promised.